With farmers markets in the final throes of the summer season, this week's recipe pulls from a laundry list of local farms. At the Burlington Farmers Market on Saturday, I found gorgeous, waxy, dark green poblano peppers and cherry tomatoes from Monkton's Bella Farm, fresh chorizo and shallots from Huntington's Maple Wind Farm and cheese curds from West Glover's Sweet Rowen Farmstead. All of these came together in some fantastic chile rellenos for a Saturday night feast with our neighbors, who are headed to the Virgin Islands for the winter. In a large sauté pan, brown garlic and onions over medium heat. 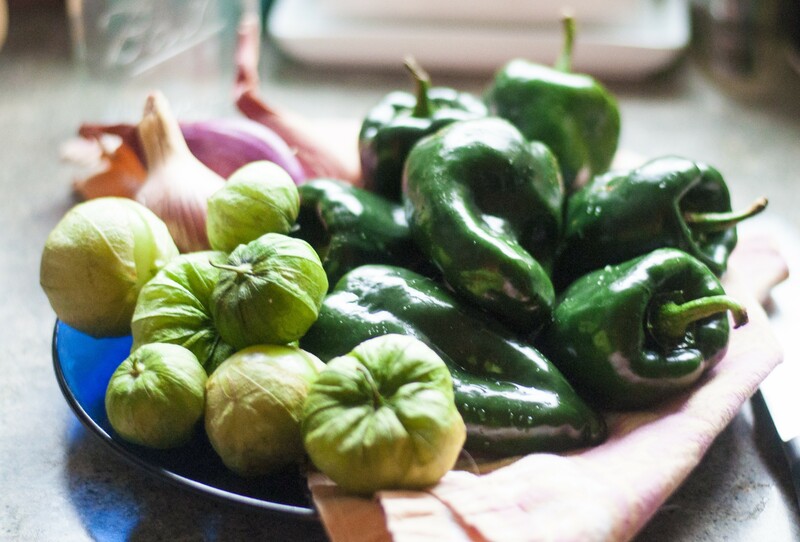 When they are golden and beginning to caramelize, add the zucchini and tomatillos and salt to taste, stirring often, until most of the liquid from the veggies cooks off and the tomatillos are soft, about 10 minutes. Place vegetable mixture in a large bowl, and add chorizo, squash* and bread crumbs. Season with coriander, cumin, salt and pepper and mix thoroughly. Fill the pepper halves with the veggie/chorizo mixture and bake on a cookie sheet for 30-45 minutes until the sausage is completely cooked and the stuffing begins to brown slightly. 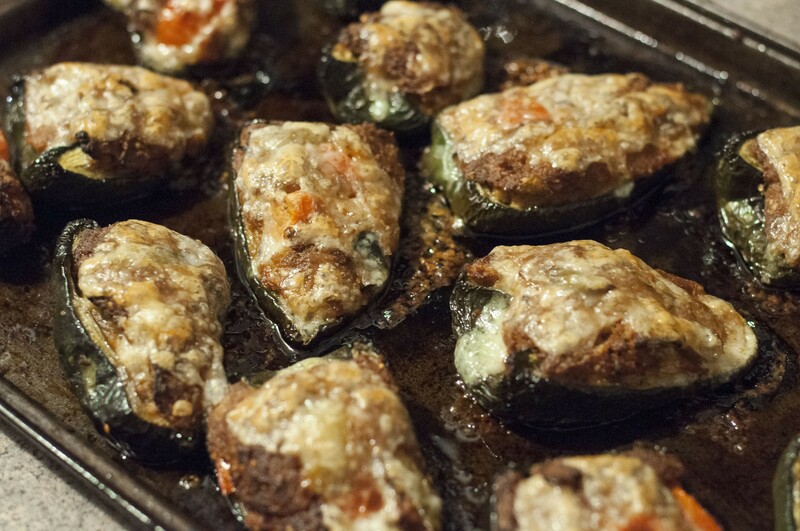 Remove from oven, top each stuffed pepper with crumbled curds or thin-sliced cheddar cheese and bake an additional 5-10 minutes until the cheese melts and begins to bubble. Serve immediately, or store and reheat. *The squash is optional (I had leftovers so I just threw it in) and adds a little sweetness to the stuffing. If you don't have it, don't worry! The stuffing is great with or without it.